This week for we have a pic and three videos from Bebe’s TV promo for Hard Love. ” Backstage with Jim and Sarah at (the now closed) Hiro Ballroom before our show. This week’s “Beeb of the Week” is from the very recent Chiller Convention. “I had a blast! Thanks to all my fans and friends, old and new that helped make this an incredible weekend! 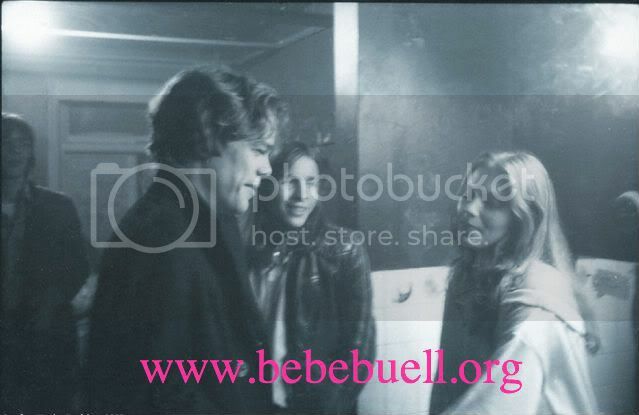 London 1978, Backstage at a David Johansen show at The Venue. “Grebo, anyone? The Gargoyles photographed in NYC by Mark Weiss.